College of William and Mary reliever Karl Stanley pitched well in this April 1989 game, as did his teammates, according to The Newport News Daily Press, but it wasn't enough. Pitching in the 10th inning, Stanley gave up a pair of doubles and the game-winning run to take the loss, The Daily Press wrote. Stanley went on from William and Mary to turn pro. He eventually saw time in four separate seasons. He never saw AA. 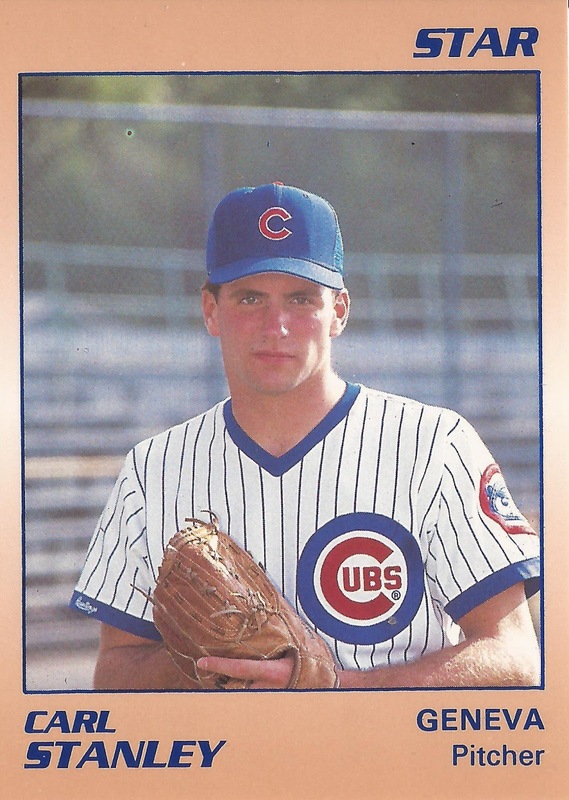 Stanley's pro career started in 1990, signed by the Cubs as an undrafted free agent out of William and Mary. He went to college out of Orange County High School in Virginia. Stanley was also sometimes credited as Carl Stanley. At Orange County, Stanley helped his team to the regional playoffs. 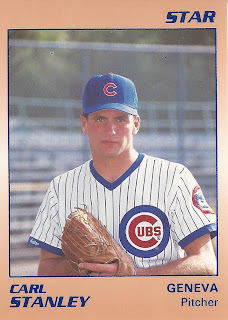 He started with the Cubs in 1990 with short-season Geneva. He also saw time at rookie Huntington. He saw seven relief appearances at Geneva, where he gave up eight earned. He then saw nine appearances, one start at Huntington. He gave up six earned in 24.2 innings there. That season marked Stanley's only season with the Cubs. He returned to the field three years later with the Cardinals at single-A Savannah. He got into 22 games and posted a 2.33 ERA. Stanley then moved to independent ball. He played 1994 at independent Tyler, where he got into 34 games, won two, lost four and saved two. He then pitched in 17 games at independent Albany in 1995. He went 2-0, with a 2.36 ERA to end his career.